How do I get the cap off the bottle? Our bottles are fitted with safety caps to ensure your safety but they can occasionally be tricky to open. Press the two flat grooves either side of the cap and twist in an anticlockwise direction at the same time, the cap with then loosen. Is Buster Bathroom Unblocker safe to use on septic systems? Yes, Buster Bathroom Unblocker is safe to use on septic systems. 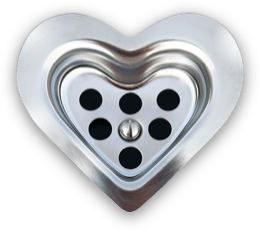 Can I use Buster Bathroom Plughole Unblocker in my caravan/motorhome plughole? No, Buster Bathroom Unblocker is not suitable for use in caravans/motorhomes. We advise you use out Buster Sanitiser Granules in this instance, but do check the manufacturer instructions before use. Can I use Buster Bathroom Unblocker in the toilet? We do not recommend using Buster Bathroom Unblocker in the toilet. 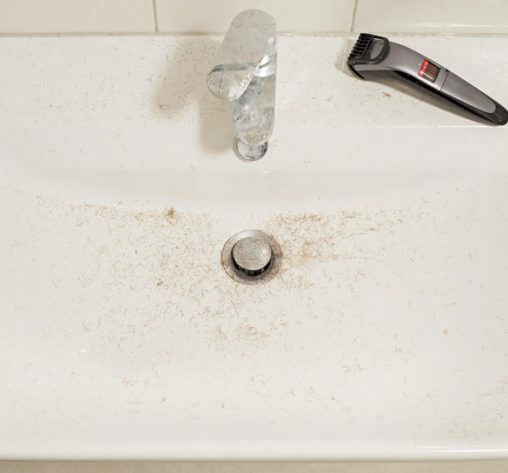 Can I use Buster Bathroom Unblocker in the Kitchen sink? No, Buster Bathroom Unblocker is specifically formulated for the bathroom and will not be effective in kitchen plugholes. 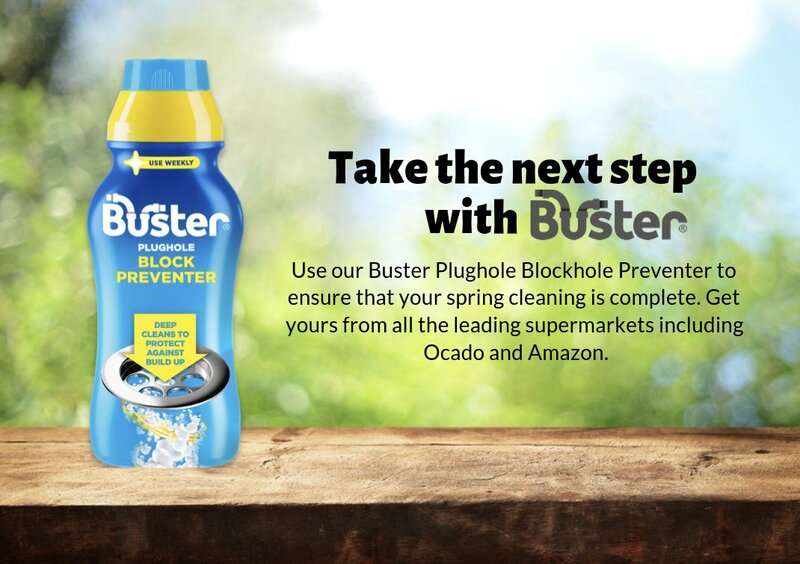 Please use Buster Kitchen Plughole Unblocker for use in the kitchen. Can I use it on plastic pipes? Can the Buster bottle be recycled? Yes you can recycle the Buster bottle. Please make sure no contents remain in the bottle and dispose of in accordance with national regulations. Is Buster Kitchen Unblocker safe to use on septic systems? Yes, Buster Kitchen Unblocker is safe to use on septic systems. Can I use Buster Kitchen Plughole Unblocker in my caravan/motorhome plughole? No, Buster Kitchen Unblocker is not suitable for use in caravans/motorhomes. We advise you use out Buster Sanitiser Granules in this instance, but do check the manufacturer instructions before use. Can I use Kitchen Unblocker in the toilet? We do not recommend using Buster Kitchen Unblocker in the toilet. Can I use Buster Kitchen Unblocker in my waste disposal? No, Buster Kitchen Unblocker is not suitable to use in your waste disposal, we recommend Buster Sanitiser Granules for use in your waste disposal. Can I use Buster Kitchen Unblocker in the Bathroom? No, Buster Kitchen Unblocker is specifically formulated for the kitchen and will not be effective in bathroom plugholes. 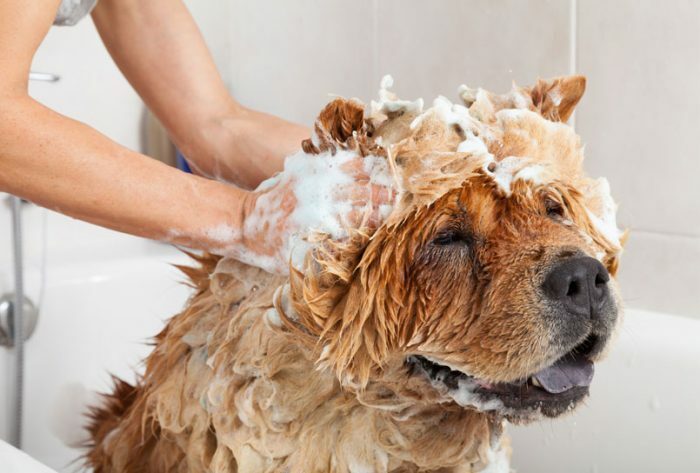 Please use Buster Bathroom Plughole Unblocker for use in the bathroom. Buster is safe to use on all British standard fittings. 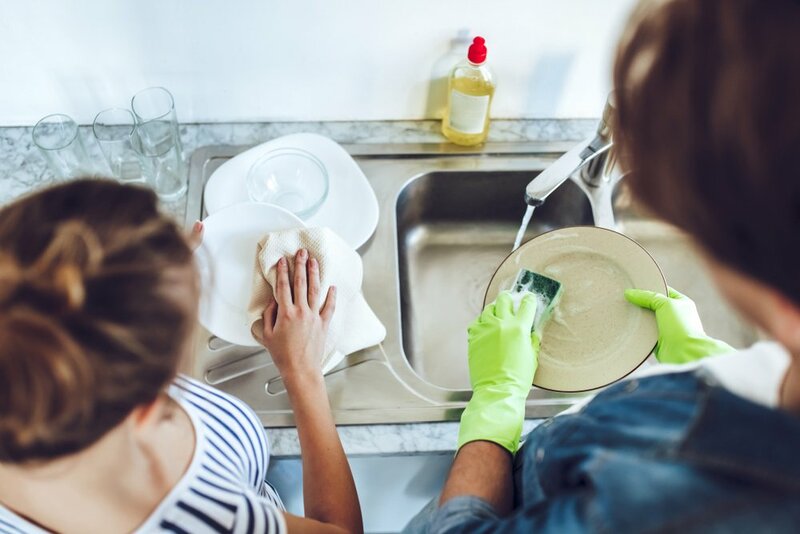 I’ve used the Kitchen Unblocker in my Bathroom plughole – what should I do? Don’t panic, this is a common mistake. Simply turn on the hot tap and flush the granules through. Ensure you keep the area well ventilated. If the granules have been left in the plughole for more than a few hours they could become solidified. In this case, boil the kettle and slowly feed the boiling water down the plughole to disperse the product. This may take a few attempts. Is Buster Block Preventer safe to use on septic systems? Yes, when the recommended dosage is used. Can I use Buster Block Preventer be used in my caravan/motorhome plughole? No, we advise you use Buster Sanitiser Granules which are perfect for your caravans/motorhomes, but do check the manufacturer instructions before use. 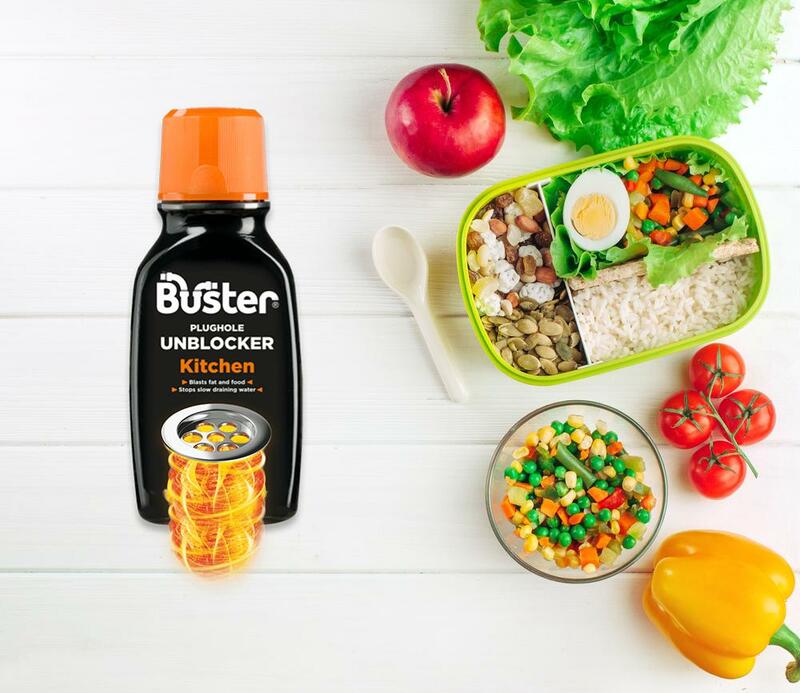 Can I use Buster Block Preventer in the kitchen and bathroom? Yes, Block Preventer can be used in your kitchen and bathroom plugholes (don’t forget the overflows too!). Is Buster Sanitiser Granules safe to use on septic systems? 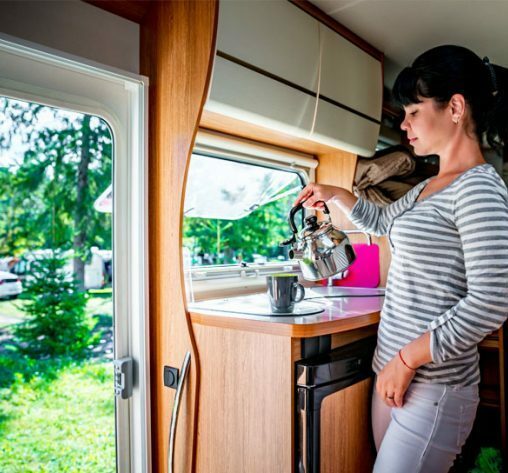 Can I use Buster Sanitiser Granules be used in my caravan/motorhome plughole? Yes! Buster Sanitiser Granules are perfect for your caravans/motorhomes, but do check the manufacturer instructions before use. Can I use Buster Sanitiser Granules in my washing machine, dishwasher or waste disposal? Yes, Buster Sanitiser Granules work great in your washing machine, dishwasher and waste disposal. Make sure you follow dosage instructions. Can I use Buster Sanitiser in the kitchen and Bathroom? 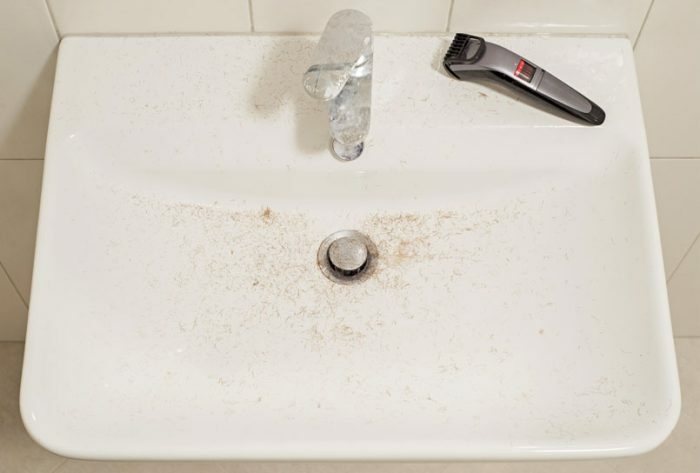 Yes, Sanitiser Granules can be used in your kitchen and bathroom plugholes. Is Buster Sanitiser Gel safe to use on septic systems? 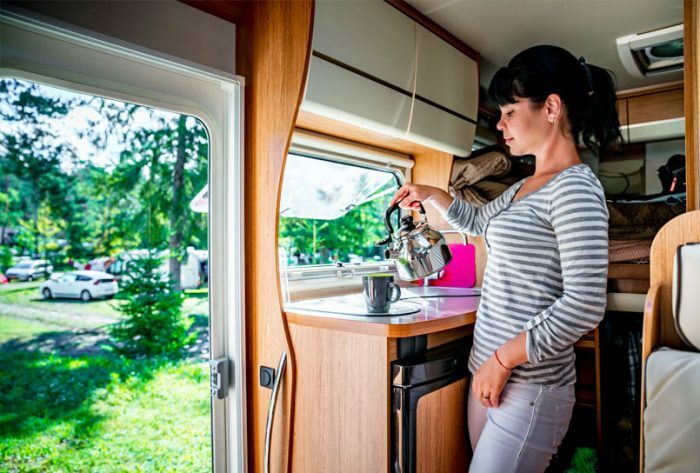 We advice you use Buster Sanitiser Granules which are perfect for your caravans/motorhomes, but do check the manufacturer instructions before use. Yes, Sanitiser Gel can be used in your kitchen and bathroom plugholes. Yes, you can recycle the Buster bottle. Please make sure no contents remain in the bottle and dispose of in accordance with national regulations. Are hairy plugholes putting a dampener on your love life? 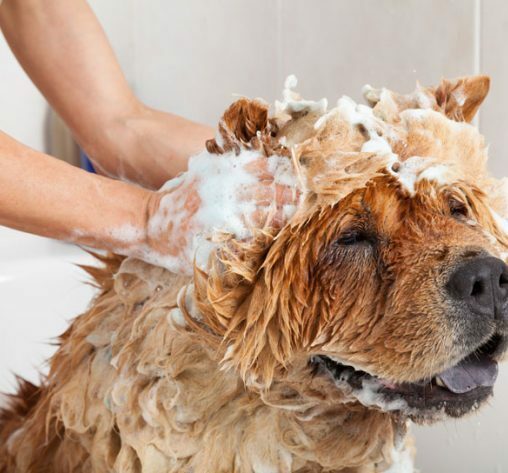 Bathing your dog – have you thought it through? Visit Alkimi Australia for country specific pricing, information and stockists.